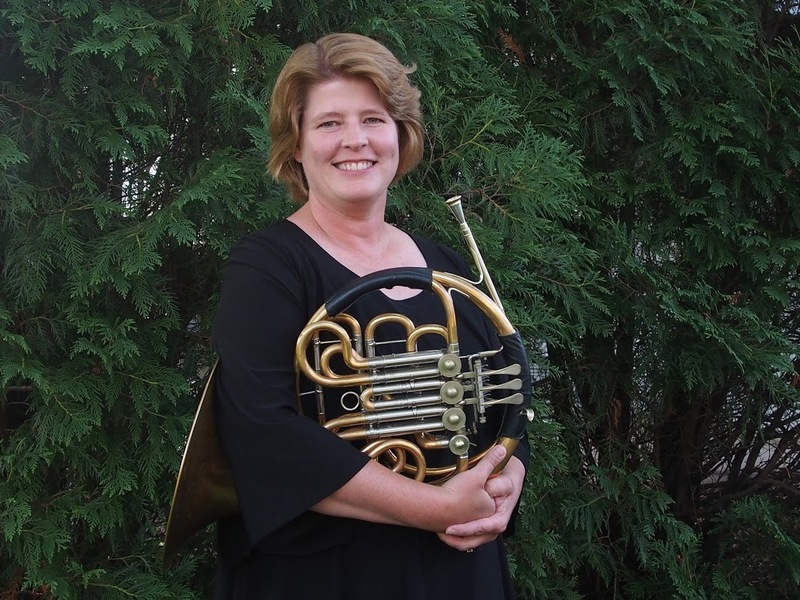 Welcome to the first of the Bloomington Symphony’s Musician’s Musings! This new feature will be posted on the first Monday of the month and will highlight one of the BSO’s players. We hope you enjoy the chance to get to know the stories behind some of the names and faces you see at our concerts. Just like every 5th grader in my town, we had an evening to see and touch instruments before choosing one that we would play for the whole school year. What that elementary band director didn’t know was that I had already chosen the horn. 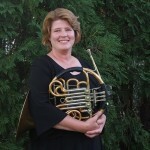 My mom played horn through college and still had an old instrument in the basement. It smelled a little funny, but it was really neat looking with all of that curved metal. Mom would play it occasionally, but she would keep saying she was out of shape (I didn’t know what that meant, but now I do!) I also like to say that my parents brainwashed me by often playing the Mozart Horn Concerto records (yes, records!) as background music. So there I was, a 5th grader choosing the horn. The band director was thrilled since all of the other girls wanted to play flute or clarinet and all of the boys wanted to play trumpet and trombone. Mom and Dad were happy because they didn’t need to rent an instrument – the smelly one in the basement was just fine to start. I can almost hear them – “let’s see how this goes before we invest in something”. Little did Mom and Dad (or that elementary band director) know that I had caught the horn bug. It turns out that with some practice, I could really play and play well. Along with the guidance of a few really good teachers, I went to college with majors in music (my passion major) and math (my practical “make money after graduation” major). Throughout the years, that old smelly instrument in the basement (that my parents still have by the way) was replaced with better and better equipment. And that same little 5th grade girl is still enthralled by the curvy metal and the Mozart Horn Concertos.